High rigidity material for its Polyjet 3D printers. 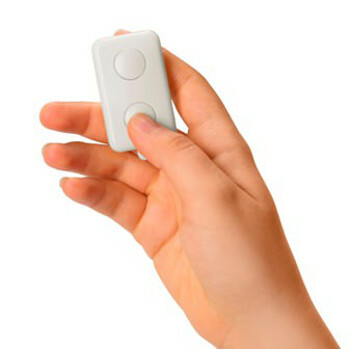 Remote control prototype 3D printed in Ivory Digital ABS2Stratasys Ltd., a manufacturer of 3D printers and materials for personal use, prototyping, and production, has just released details of the second generation of its Digital ABS material, named Digital ABS2. Developed for Stratasys PolyJet 3D Printers, the new material is designed to enable users to produce thin-walled models with high dimensional stability. It is now available in ivory as well as the existing green colour. The company said that enhanced software increases the material's rigidity, durability and functionality of thin wall elements. This is aimed at improving form, fit, and assembly for prototyping or production applications. Stratasys also claims the material's rigidity makes it ideal for 3D printing cores and cavities for use in low-volume injection moulding applications using thermoplastics. It added that the benefits include sharper edges, which hold up better, and the improved ability to 3D print small parts such as pins and other thin features that are strong enough to handle the high stresses of the injection moulding process. "In addition to general purpose applications, Digital ABS2 is ideal for prototyping consumer electronics and other consumer goods, including small appliances and cell phones, which require high stability with thin-wall geometries," explained Fred Fischer, director of materials and applications product management at Stratasys. Stratasys PolyJet digital materials are composite materials created by simultaneously jetting two distinct PolyJet materials. The two are combined in specific concentrations and structures to provide special mechanical properties and to provide a closer look, feel and function to the end-product. Stratasys Digital ABS materials combine high-temperature resistance with enhanced strength and stability to produce models that can sustain high impact.